About Us Reputation of Responsiveness. In business since 1995, M.W. Rogers Construction, Inc. has developed a reputation for responsiveness, service and quality of work throughout Texas, including Houston, Dallas, Austin and San Antonio. In all we do, keeping your business running and generating revenue is our top priority. You will find our building professionals honest and highly trained individuals, self-motivated and steadfast in keeping their work ethics at the highest level. Owner Michael Rogers is personally involved in all projects insuring that the stringent quality control protocols are strictly observed and the client’s needs are considered first..
With a large portfolio of general building/restoration contracting services and disaster restoration services, you can readily use M.W Rogers Construction, Inc. as your all-around construction provider for all your property needs. Knowledgeable and experienced, M.W. Rogers Construction, Inc.’s professionals are certified and recommended as a preferred contractor by some of the top branded manufacturers of construction products in the nation. M.W. 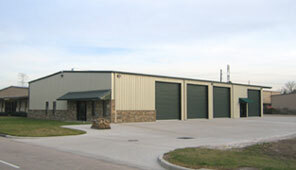 Rogers Construction, Inc. is fully insured, and can provide excellent references for any type of project. Above all, your interests come first as we interface and facilitate on your behalf with all trades, insurance adjusters and city inspectors.